Hey back again this week to https://joedichiara.wordpress.com to post the second installment of the “GO NBA” series. Last week I posted the finished artwork for my Carmelo Anthony illustration which lead me to expand the concept towards other teams in the league. 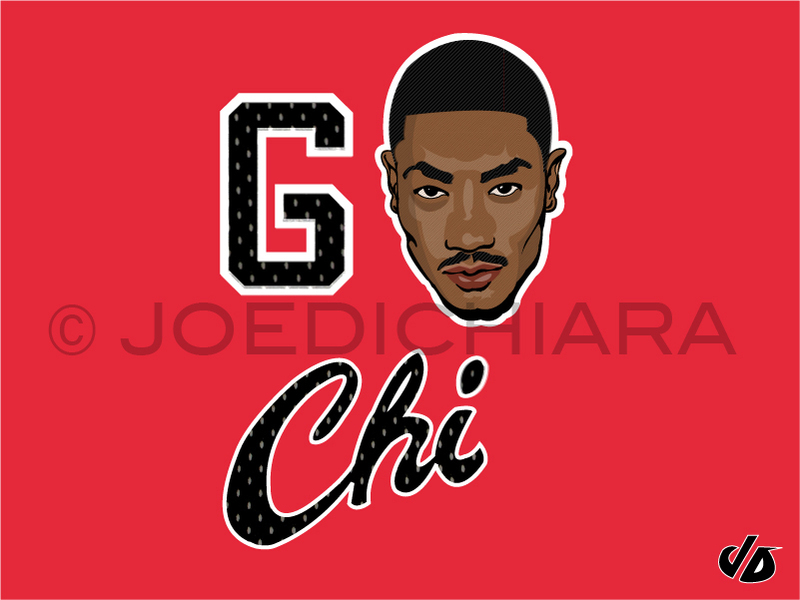 This week I am posting the finish for Derrick Rose of the Chicago Bulls. Similar to the first design I used the teams font that’s on their jersey to add a graphic element that fans would recognize. Be sure to check back for the next illustration in the series and also be sure to check out http://www.joedichiara.com for a more extensive view of my work. Here’s a video of Rose’s highlights for your viewing pleasure.